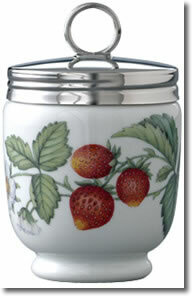 Then I moved and now I can't find it, but it looked exactly like this one. 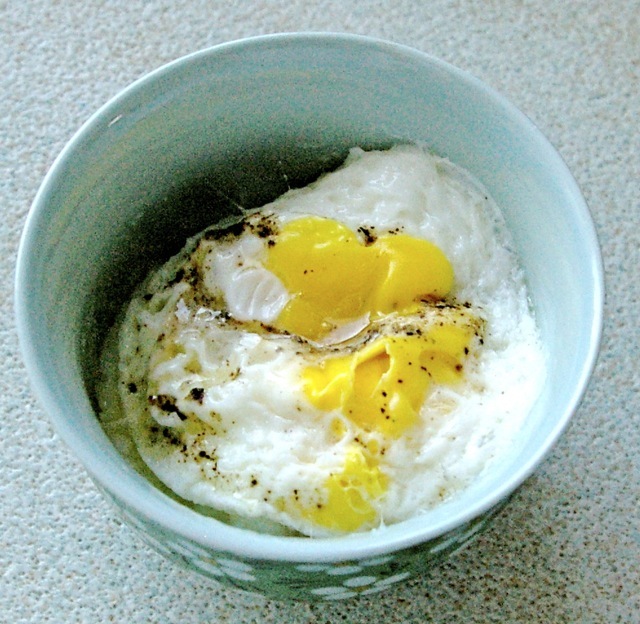 I've cooked hard-boiled eggs in the microwave, but, I thought, why not coddled eggs? This morning, I decided to try. 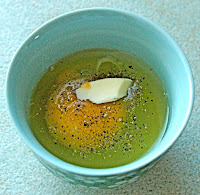 NOTE: this is essential -- otherwise the yolk will explode! 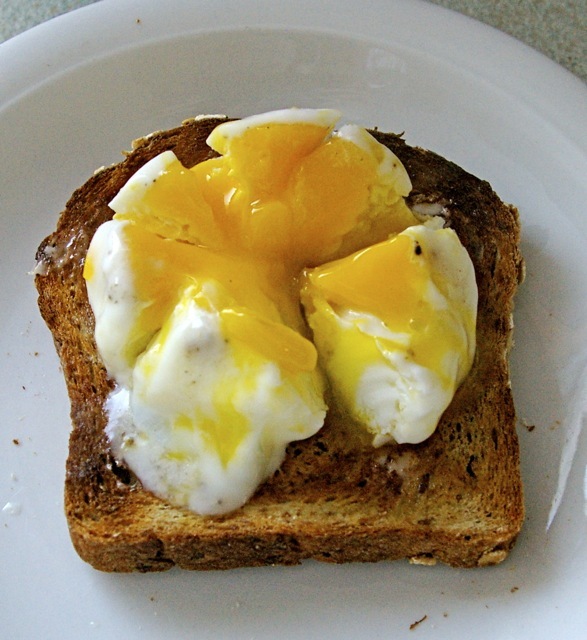 Anything you would normally add to your eggs. 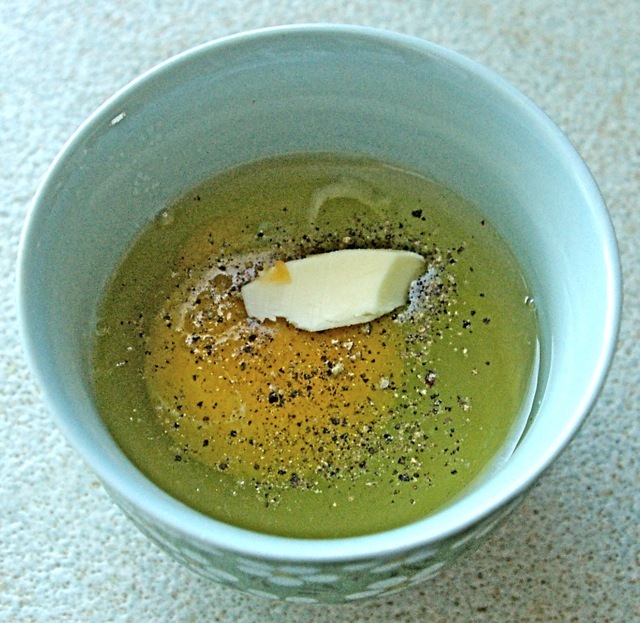 Add another dab of butter on top -- please don't skip this! It's amazing what this minuscule amount of butter does to the flavour of the egg! 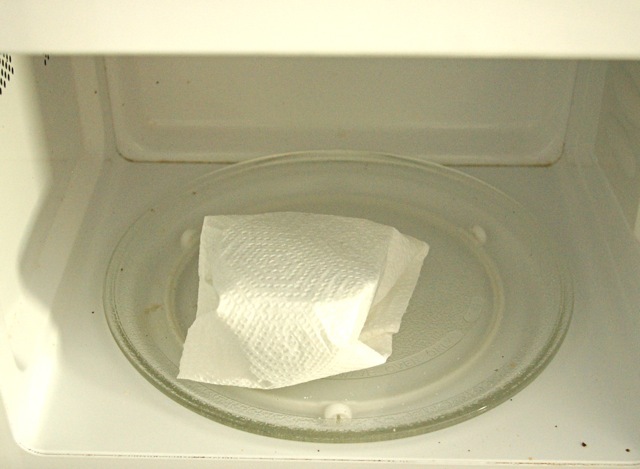 This is how I did it today, but as you may know, after you take something out of the microwave oven it continues to cook. That's why, in these last two photos, you can see that the yolk is beginning to solidify. 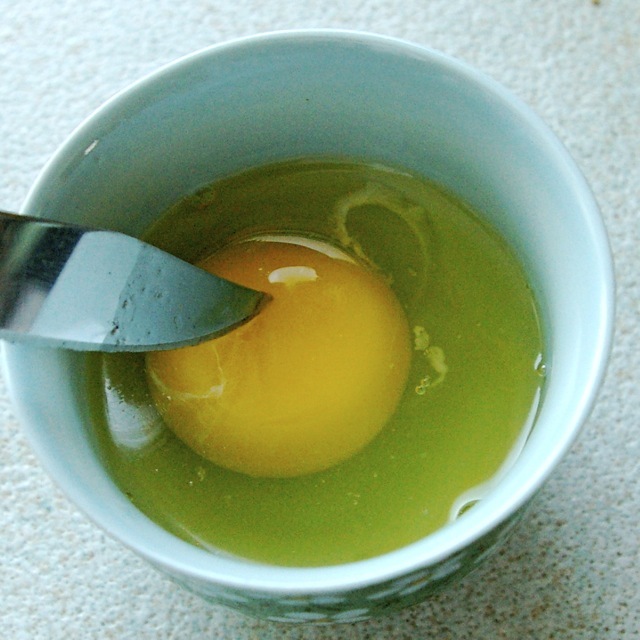 I like my yolks completely liquid, so tomorrow, I will try 40 seconds and a 10-second rest, and see what happens. 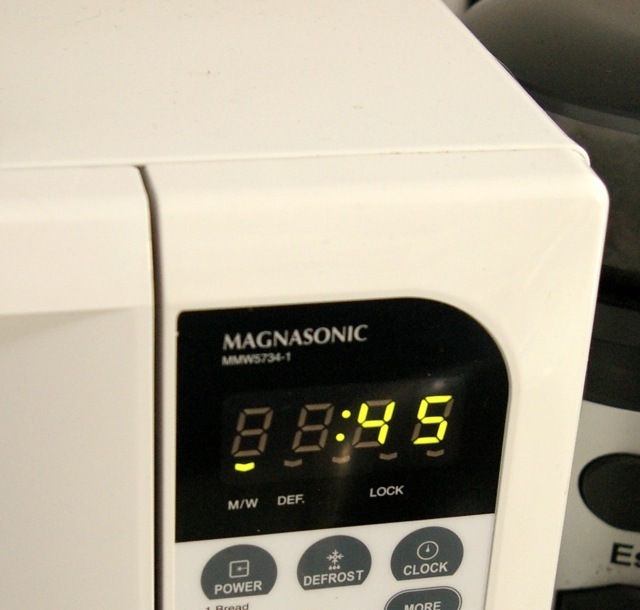 NOTE: if you decide to try this, you will have to experiment too, because as you know all microwaves are different, and of course you may like your eggs more or less cooked. 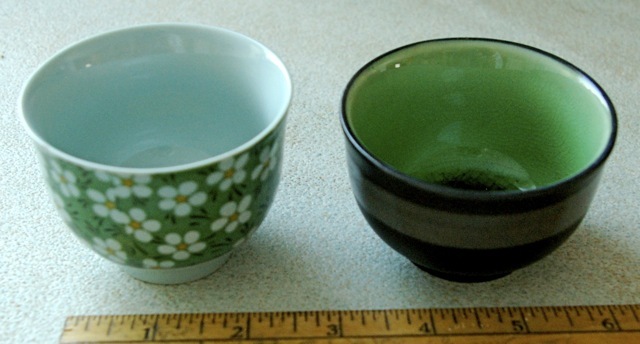 After several tries, I did settle on 40 seconds, and that time seems to work best in the smaller of the two cups, the one on the right. The walls are thicker, which may contribute to the whites setting better. That's what works best for my taste and my equipment. 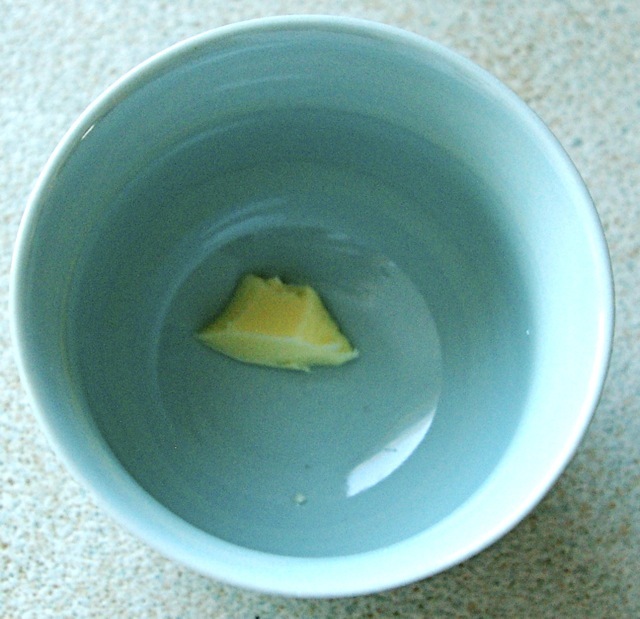 You're on your own: do your own tests; just remember that, oddly enough, if you get some water in the bottom of the cup, it's not from under-cooking, but from over-cooking. It's a chemical reaction, apparently. * Without some sort of "handle", it's impossible to get the coddler out quickly when the timer goes off (and believe me, I've tried). What I liked about this was the stop and go process on full power … 20 seconds … stop ... 18 seconds … stop … 16 seconds. 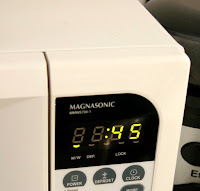 There’s a bit of voodoo, it seems to me, about placing the cup in the center of the microwave.